S’well bottles have changed our life – they are the only reusable bottles that look great & do good for the environment (even designers like Mara Hoffman couldn’t resist designing their own bottles!) These beautifully crafted bottles eliminate plastic waste, keep your drinks cold for up to 24 hours (or hot for 12) and donate proceeds to those in need. You won’t ever leave home without this new companion. They offer sizes ranging from 9oz (think: coffee & tea) to 24oz, which is perfect for always having lots of water on hand (or an entire bottle of wine, yep.) S’well bottles don’t “sweat” (condensation is SOOOOO not cute), so throw them in your purse & rest assured nothing is getting wet. Over here, we challenge each other to fill up our 24oz S’well bottles 3x a day! Be honest…water isn’t the tastiest drink out there (ahem: red wine). Adding delicious fruits, herbs, or even veggies (for those brave souls) can help give your water a unique flavour that you will crave throughout the day. We like to infuse our water with either raspberries & limes, or strawberries & basil. If you need even more sweetness, we recommend adding Stevia or agave nectar. The Watterlogged App will track your water consumption by day, week, or year, & you can see at a glance how you’re doing! 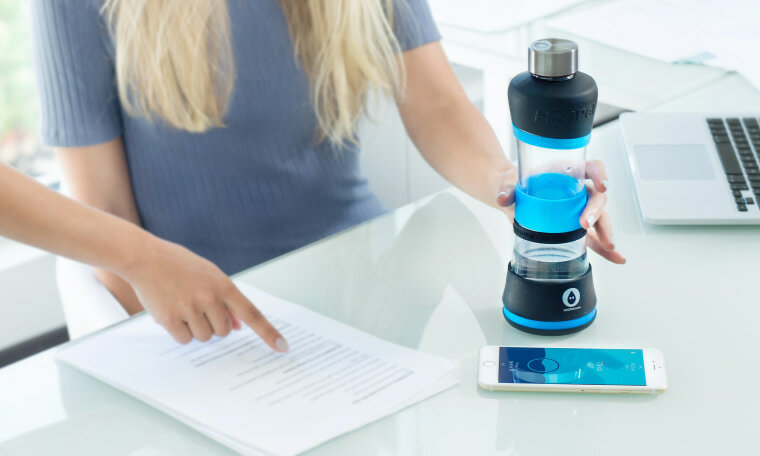 You can set reminders when you need them & the overall goal is to help build healthy water drinking habits throughout your busy day. So consider this app like the Dr.Oz of water therapy….download it, and thank us later. So, there we have it, no excuses not to get more of the best liquid into your body, whether you’re a glampuss mooching around in your Gucci sunglasses, or the average Jane on the street, drink more!